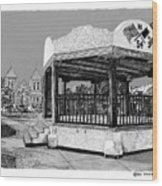 Thank you for buying a 16.000" x 12.250" print of Old Mesilla Plaza And Gazebo to a buyer from Mesa, AZ. Congrats Jack on your sale ! Thank Thomas, appreciate your comments! Congratulations on your sale Jack! Thanks, Kathy, glad you like my pen & ink art! As you know this is the state of repairs now, congrats Jack. 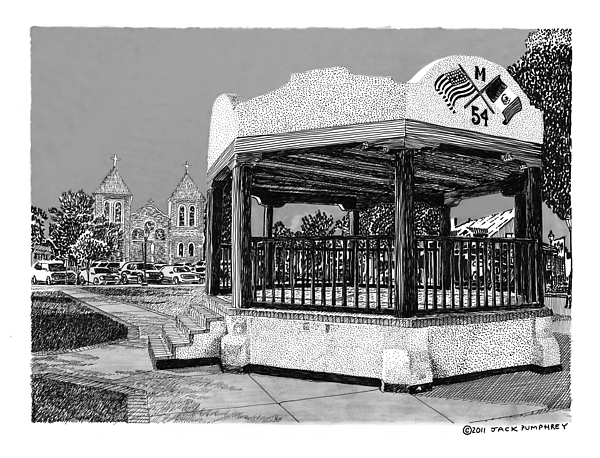 town squares, town plazas,Framed prints of Old Mesilla, New Mexico. Mesilla post cards. Pen and ink art of the old southwest. 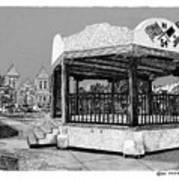 Pen and Ink Art of Gazebos. 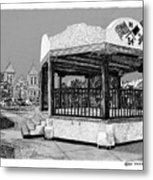 Post cards of churches of the southwest. Black and white illustrations of old Mesilla, New Mexico.